It's possible where you live, even if it's in a pot. 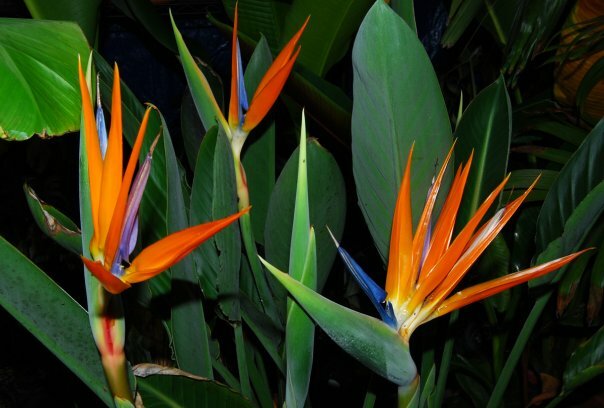 Anyone who love the blooms of the Bird of Paradise, which I suspect is all of us, can rest assured they CAN get this beautiful flower to appear where they live - even in a pot. The key to this success is a lot of sunlight during the summer, water, and neglect ... yes, neglect. The Bird likes to bloom when it's a bit stressed - so ignoring it or forgetting to water it might work in your favor for a change. That's not to say don't water it for a month, but you get the point. Be sure to take them outside as soon as it's warm enough to do so, the more direct sun these guys can get, the better. By the end of September of October you will see the first buds appear and by mid-December you should have your first bloom. What better day to launch than today? We've still got a lot of work to do on the site, including the extensive Hardy Tropicals Plant Database (which we're calling our 'Plantabase') over the coming weeks, but we're ready to officially launch the site, today, Earth Day 2010. Lately we've been plant-a-holics ourselves. Last week we put in around 100 new plants throughout the yard, mostly bananas, elephant ears, and some hardy palms. We've already discovered a few new favorite hardy elephant ears, and we'll be sharing more information about those in the coming weeks here on the blog. Today we put in an additional 4 windmill palms, which are a great palm for anyone living in zones 7 and below (it can withstand cold down to slightly below 10F). 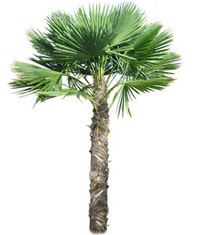 It's a beautiful palm once it gets some size on it, and we're excited to have a few in our yard. We've also been experimenting a lot with bamboo lately, especially Phyllostachys Nigra (Black Bamboo) and Phyllostachys aurea (Fishpoll Bamboo). We've installed barriers for both and that's something else we'll go into detail in the coming weeks. Lots of good stuff to get started with here on the blog. So welcome to Hardy Tropicals and thanks for joining us for our official launch on Earth Day 2010. Our website is dedicated to tropical plant enthusiasts who live outside of the tropics but still enjoy growing exotic plants. Whether you're in New York City or Seattle, Chicago or Charlotte, here you can learn about all the plants that will grow your zones and how to make your yard a lush tropical paradise. Register today to participate in our online discussion forums and to suggest your own plants to our hardy tropical database (plantabase)! !